They say when you play the game of thrones, you win or you die. 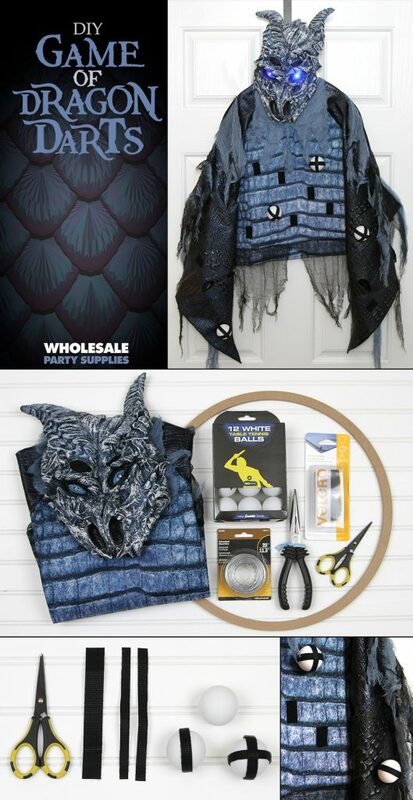 However, the stakes don’t have to be that high at your Game of Thrones-themed party. If you’re turning your house into a House fit for Westeros, you’ll need to keep your guests fed and entertained. What better way to get in the spirit with the season 8 premiere right around the corner than with a lively competition? 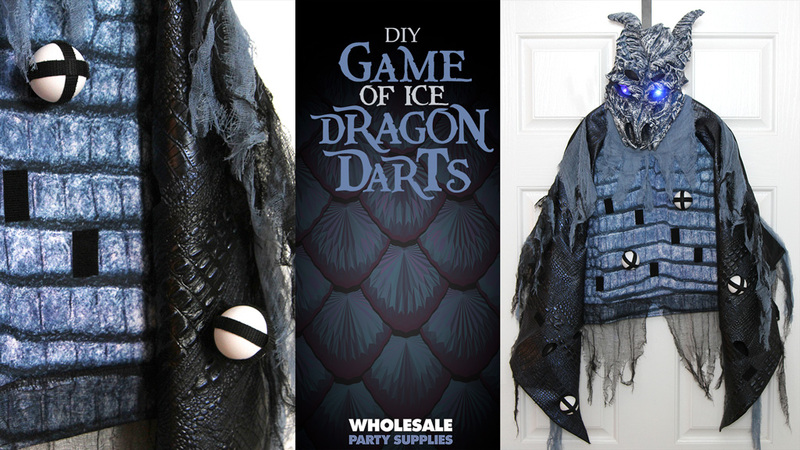 With Jon Snow and Daenerys Targaryen off to battle the Night King and his Army of the Dead, your guests can get in some target practice against some White Walkers of your own. 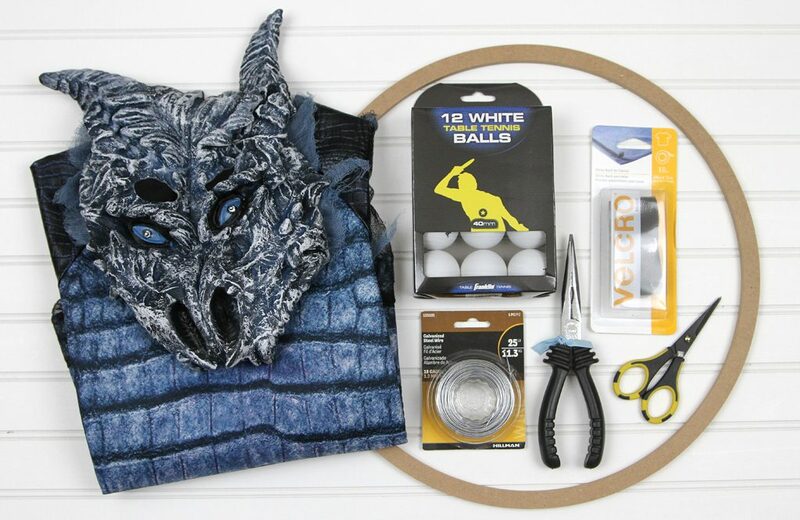 Get yourself warmed up for watching the fiery Game of Thrones premiere with this quick DIY Dragon Darts game. 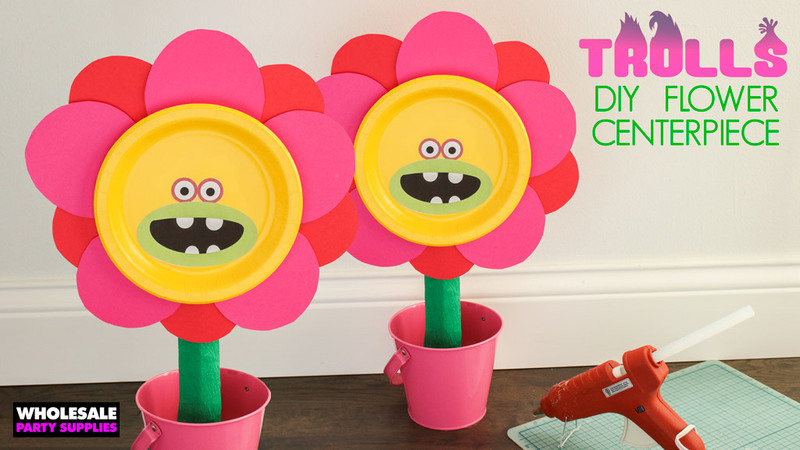 A few standard supplies and a child’s costume come together for this luminous activity which is sure to breathe some icy competition into your party celebration. 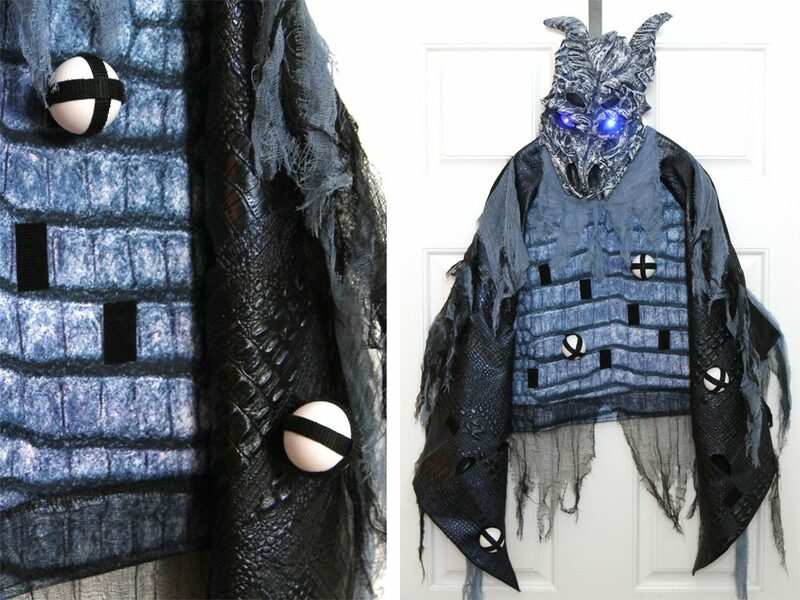 Bonus: because nothing is permanently attached, you can take the “game” apart after the party and use the costume for any future dragon dress-up needs. STEP ONE: Cut soft side of Velcro into 1” lengths. 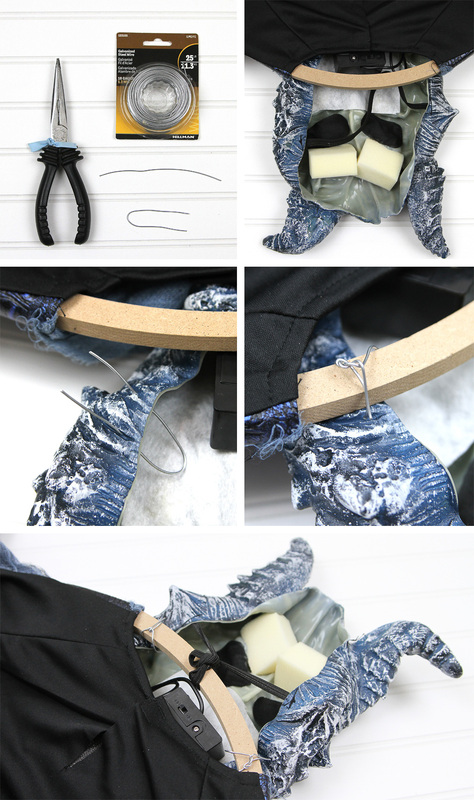 Apply to the front of dragon shirt in desired places TIP: for a more permanent solution, use sew-on Velcro and hand tack to the shirt. 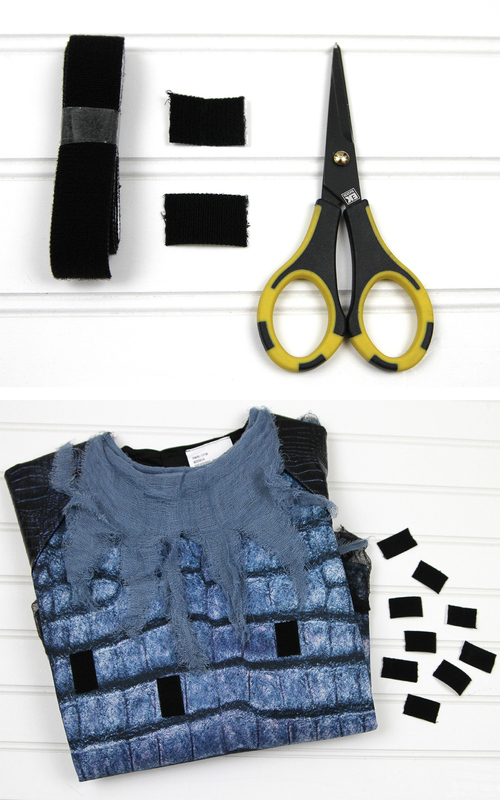 STEP TWO: Insert floral craft ring into the shirt, allowing a portion of the ring to poke through the neck hole. If desired, hand tack to prevent slipping. STEP THREE: Attach mask to ring using wire (TIP: before attaching, put batteries in power pack and slip pack into chin area of the mask). 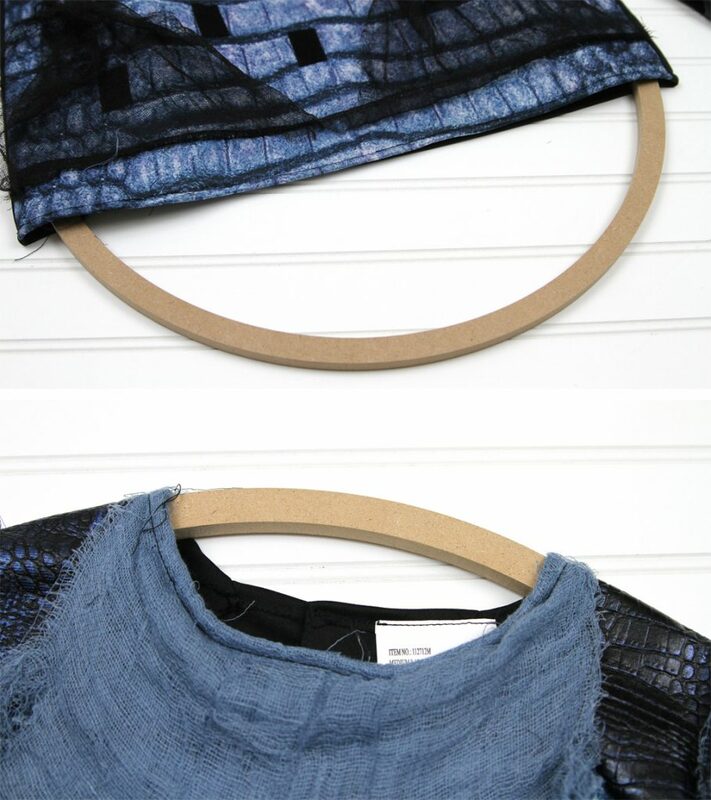 Cut wire into 5” lengths and bend into a U shape. Determine mask placement on the ring. From underneath the mask, poke the wire through and secure to ring by twisting with pliers. Overhand tie the elastic to the ring for added rigidity. 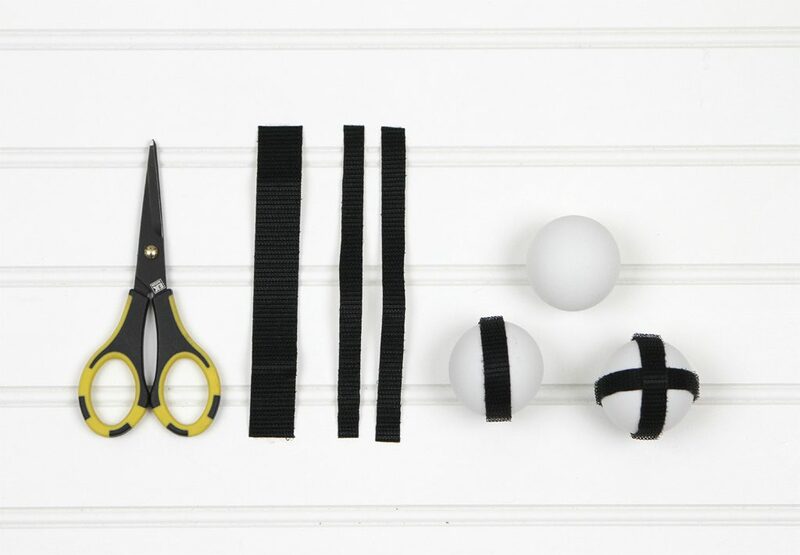 STEP FOUR: Cut loop side of Velcro into lengths long enough to wrap around table tennis balls. Cut strips in half lengthwise. Wrap strips around ping pong balls in a cross pattern. STEP FIVE: Turn mask on and enjoy playing darts via the eerie glow. Winter is here and that means there’s no better time than now to throw a Game of Thrones watch party complete with themed food, drinks, decorations and a game!